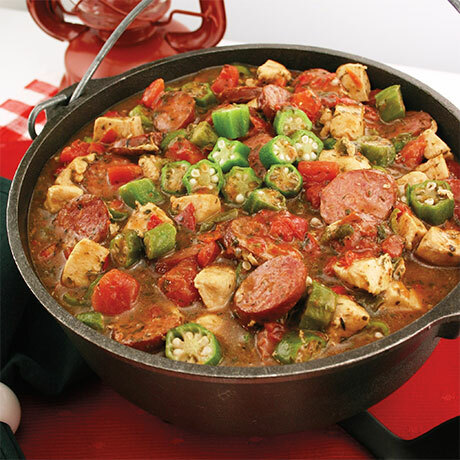 Bring home the taste of New Orleans with this Creole favorite! Add chicken, smoked sausage, and/or shrimp for a delightful, hearty meal. Also makes a unique and delicious marinade! 2 packets, 12 servings per packet. Cornstarch, red and green bell pepper, parsley, onion, Creole seasoning (salt, spices, paprika, and dehydrated garlic, less than 2% silicon dioxide (to prevent caking)), spices and garlic.